COLUMBUS — Age-related macular degeneration (AMD), is a leading cause of vision loss for Americans age 50 and older. The eye disease causes damage to the macula, a small spot near the center of the retina and the part of the eye needed for clear, central vision. The Ohio Affiliate of Prevent Blindness is recognizing February as Age-related Macular Degeneration/Low Vision Awareness Month to help educate the public on AMD risk factors, treatment options and more. Dry AMD is the most common form of AMD is “dry” AMD. 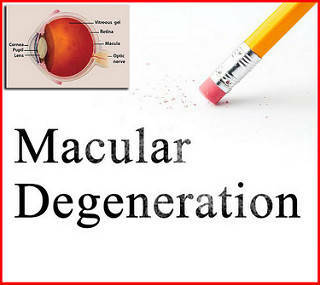 About 80 percent of people who have AMD have the dry form, according to the American Academy of Ophthalmology. Dry AMD is caused by the appearance of small yellow deposits called drusen, which form under the retina. These are accumulated waste products of the retina, which can grow in size and stop the flow of nutrients to the retina. This will cause the retinal cells in the macula that process light to die, causing vision to become blurred. This form of the disease usually worsens slowly. Wet AMD generally causes more rapid and more serious vision loss. In this form of the disease, tiny new blood vessels grow under and into the retina. These blood vessels are fragile and often break and leak, causing a loss of vision. The Mayo Clinic states that people whose wet macular degeneration has progressed to central vision loss have a higher risk of depression and social isolation. With profound loss of vision, people may see visual hallucinations (Charles Bonnet syndrome). The retina is in the back of the eye and any changes to the retina can only be seen by an eye doctor using special equipment. Many people who have AMD may not be aware they have it until they notice significant vision changes. Although there is no cure for AMD, the progression of vision loss may be slowed if detected and treated early by an eye care professional. Prevent Blindness also offers the no-cost online resource, “Living Well with Low Vision,” with information ranging from an extensive list of searchable, local low vision resource directories, helpful handbooks for patients and caregivers, and an informative blog with news for people living with age-related eye disease and significant visual impairment, authored by patient advocate and low vision educator Dan Roberts, M.M.E. For more information on AMD and low vision resources, please contact Prevent Blindness at 800-301-2020 or visit www.pbohio.org. For a free listing of organizations and services that provide financial assistance for vision care in English or Spanish, please visit https://www.preventblindness.org/vision-care-financial-assistance-information.